Are you looking for a better way to manage your email inbox? Do you find yourself spending a lot of time doing the same tasks day in and day out? Is there a smarter way for you to work and refine your processes with the help of G-Suite? 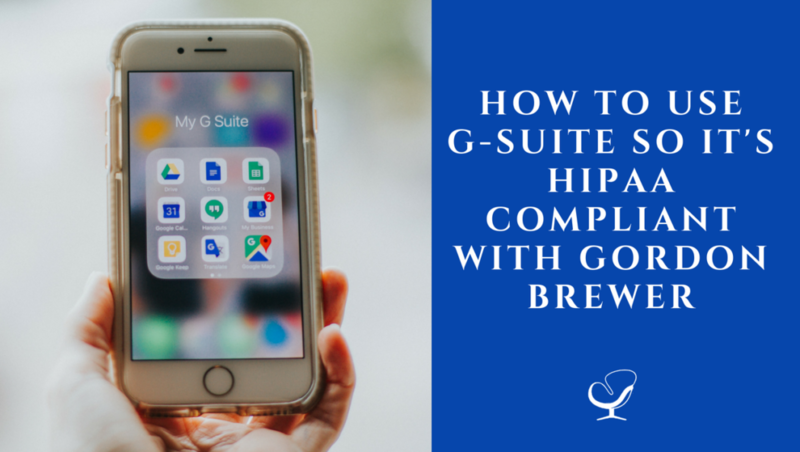 In this podcast episode, Joe Sanok speaks with Gordon Brewer on how to use G-Suite so that it’s HIPPA compliant and how it can help streamline processes in your business. 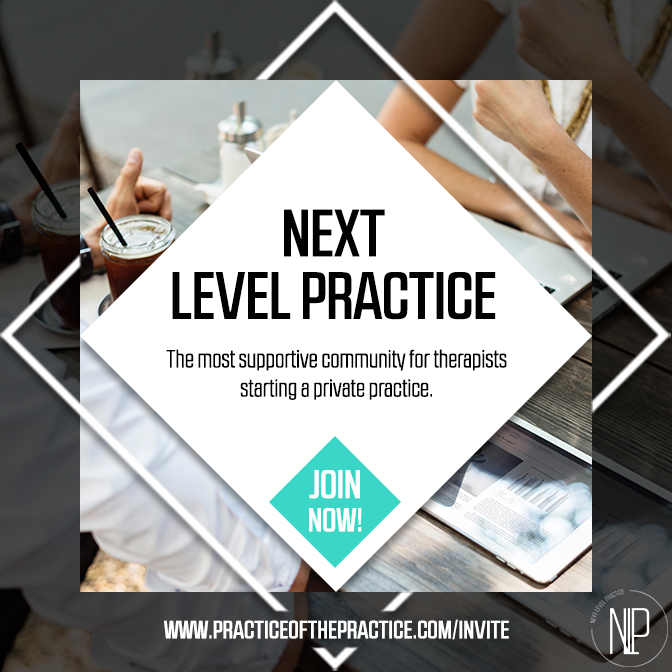 Next Level Practice is an industry-changing project to help counselors to start a private practice. Unlike many programs that are time-limited, or just an e-course, this brand new approach offers live and recorded trainings, small group accountability, and feedback. If you are ready to get some support for your current practice or you want to take your practice to the next level, simply visit this site: www.practiceofthepractice.com/invite. 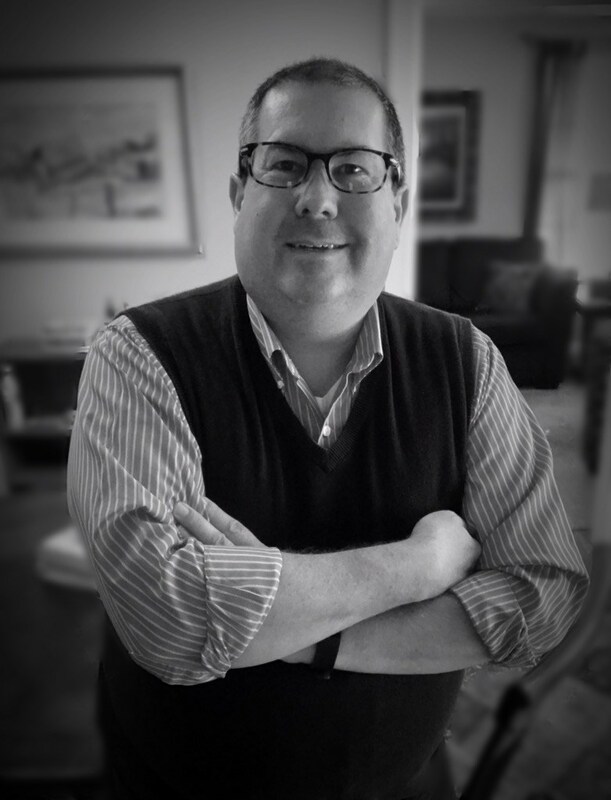 Gordon’s career as a therapist and consultant began in 2001 when he finished grad-school and began working in the non-profit sector for an organization that provided intensive in-home therapy for at-risk youth. Gordon went into private practice as therapist part-time to begin with which enabled him to work full-time and see private clients in the evenings and on weekends. He made the big step in 2010 of moving into private practice full-time. In 2014 he formed a group practice, Kingsport Counseling Associates, PLLC, located in Kingsport, TN. In this episode, Gordon Brewer takes us through the benefits of using G-Suite and how to make sure your business is HIPAA compliant. Gordon’s expertise and advice will really help you save time and work towards being more productive, by doing less. Admin doesn’t have to take up the bulk of your day, once you have these processes in place you will feel that your business is more streamlined and organized. Gordon has created an E-course called G-Suite for Therapists to help you learn how to maximize your productivity using the tools of Google G-Suite. Check out the course here. Why is G-Suite Such a Great Platform? I was trying to get my practice more productive and there were so many things that were just repeated tasks. 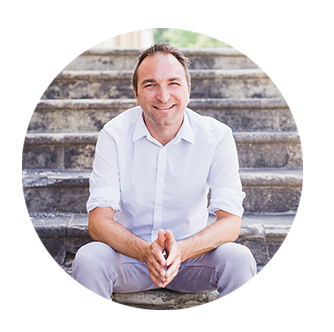 This is the Practice of the Practice podcast with Joe Sanok – Session Number 306. [JOE] Welcome to the Practice of the Practice podcast. I’m Joe Sanok, your host, live here in the radio centre, Two Building, Downtown Traverse City. You know, we have been really doing some pretty amazing things with the team here to help you out. It’s been great. We added another person that’s helping Sam, our chief marketing officer, who’s helping with videos and images, and all sorts of great things. We have another lady Sam who actually lives also in Cape Town, South Africa. And, she has joined the team. So, she’s new Sam. She’s helping with a lot of the podcast show notes and is just helping just take things off of Emily’s and Sam’s plates, so we can keep rocking out giving you guys stuff that would help you grow your practice. After this five-day How to Start a Million Dollar Practice podcast series that we just got through with Kasey Compton, if you missed it, it’s amazing. She goes through the 5 P’s of having a million-dollar practice. We’re launching this mastermind starting soon. If you go over to practiceofthepractice.com/milliondollarpractice, you can read more about it. It gets more info. What Gordon Brewer will talk about today, the G-Suite, what I like about G-Suite is you can have this professionalism when you’re just starting out. For the longest time, I was like, “How do the people have like Joe at Practice of the Practice and have all the calendar, and everything go through that.” “Duh. It was just G-Suite.” It’s so cheap to do it. They’ll sign a Business Associates Agreement with you. And, Gordon’s going to walk us through all that. What’s great is that, that’s great for people just starting out but also that professionalism, if you’re growing a consulting business, if you’re growing other things is so important too. Today’s episode is kind of a bridge between the start-up phase and that million-dollar practice. And, we’re going to be listening in the coming weeks about a bunch of people that have started practices and rocked it out a few of them. You know, they started in January, really working and focusing more. Within just a couple of months, they went up about 10 clients a week. So, people that have really rocked out having a new practice, we’re going to be talking with them and you’ll hear more about their stories later in the month. Today, we have Gordon Brewer. Gordon, he’s a long-time friend. I first met him in person down at Brewer Practice that I put on with Allison Puryear and Jane Carter. But, we have been kind of online connections, associates for years. And, he’s just such a delightful person and now he’s a next-level mastermind in Slow Down School. He’s consulting with people left and right and his podcast is going well. I’ve been on it a few times. He’s just a great guy. So, without further ado, I give you Gordon Brewer. [JOE] Well, today on The Practice of the Practice podcast, we have Gordon Brewer who has a practice at therapy. He has been a regular guest on the Practice of the Practice podcast. Gordon, welcome. How are you doing today? [GORDON] Well, good! Thanks, Joe. I’m glad to be here again. [JOE] Yeah, yeah. You brought me and Christina, when you’re here in Traverse City, your practice therapy coffee mugs and smoothie mug. I’ve been using it. But today, I should have brought it but I didn’t. Oh my god. [GORDON] Okay. That’s fine. That’s fine. [JOE] Yeah. So how have you been doing since you were here in Traverse City? [GORDON] Yeah. I’m great. It’s been a whirlwind. My daughter just graduated from college this past weekend. And so, we’re on to the next phase of life from that, the next transition, you know, all that. And then, on top of that, just to make it all fun, I stepped on a hole moving around of our dorm. I sprained my ankle. It’s not broken but it looks like it is. But, other than that, we’re doing okay. So, it’s fine. [JOE] Well, I think it’s why we get along so well. We both really value our family time. It’s like being a good dad is just really a part of who you are as a person. [GORDON] Well, thanks, Joe. Yeah, I think that’s true. I know there’s so much that we’ve kind of learn about each other over the last couple of years just sharing stuff. Yeah, it’s been a great journey. [JOE] Yeah. Well today, we’re talking all about this G-Suite course that you did and have created. I mean, you are my go-to person when people say, “Well, how do you use G-Suite?” So, why don’t we go back and just start with why did you care about G-Suites to begin with? Why take the time to learn the whole new platform? [GORDON] So, when I first started my private practice, one of the things that I realized is that I was really trying to get my practice more productive. There are so many things that are just repeated task that, you know, we all experience either from how we do intake with a new client, and all of that. But, one of the things that really the big reason that a story getting interested in G-Suite is I wanted to have my domain name at the end of my email. There are lots of different ways to do that but when I started looking at G-Suite which back then it was called Google Apps for Work, it was just really a simple thing to do where you sign up for their paid version. Then, you’re able to use your own domain name and still use Gmail platform. [JOE] It is being like gordonbrewer529@gmail.com. Then, it would be gordonbrewer@practicetherapy.com. [GORDON] Correct. Correct. To me, that just adds a level of professionalism that you don’t get with you see people that, you know, have that yahoo.com or Hotmail.com. Believe it or not, there’s still some folks that have aol.com. [JOE] You can’t judge a book by its cover, but I think you can judge an email by its domain. [GORDON] Yeah. That was one of the main things that got me interested in G-Suite. Then, the other thing that really kind of seal the deal for me was really recognizing that you could make it HIPPAA compliant and make it HIPAA-secure. The big thing that you need for, you know, the standard thing that you need for HIPAA is for anybody or any service that you use, you need to have a BAA or Business Associate Agreement. And, Google does that for all of their core products like Gmail, Google Calendar, Google Docs, Google Sheets, Google Forms, Google Slides. All of those things are come with a Google account. Anybody that’s got like a Gmail account, you got those things available to you but unless you got the paid version of it, you can’t get the BAA. [JOE] So, someone has just the regular Gmail account that they’re using with their practice. They don’t have a BAA with Google and potentially could be outside of HIPAA-compliant. [JOE] If they need it, if they want it too, they have to use something like Hushmail or other things if they didn’t want to use the Google Suite. [JOE] Is it automatic that they just… you have a BAA signup, or you have to request that? [GORDON] No. You have to request that and it’s just an online from that you fill out and then they send you a PDF of the agreement. [JOE] How do people find that form? [GORDON] Yeah. What I’m going to do when we talk about this before we started. I have put together a cheat sheet that’s got some of these steps on there that you can take. And then, there’s just a link that you go to. You can actually google “G-suite HIPAA compliant” and you can find that. But that’s one step that you need to do. And also, the G-Suite, when you get that, they have some recommendations about how you setup on the back-end that things to make it more compliant and more secure. Again, that’s getting into a lot of technical stuff. [JOE] We’ll have over at the practiceofthepractice.com/resources. We’ll have Gordon’s checklist available there. That’s kind of our hub where we keep all of these free cheat sheets and we’ll also put them in the show notes. So, people who are out running and walking the dog or doing the dishes, we’ll put down all of these links we talk about. Cool. So, trying the Business Associate Agreement and making sure you have that with your e-mail, that’s kind of very super basic. I’m really interested in how you use it beyond… I mean people of course use it for calendar. Maybe their assistant can see their calendar and their email. Those are the things that I think most people think about when they think about the G-Suite. How are you using the other apps that are a part of it? Maybe take us through what they can do. How are you using that to create processes in your business? [GORDON] Right. Well, one of the big things that I really kind of put together, you know, one of the things that I’m notorious for is trying to bootstrap too much but at the same time, I’m always looking for ways to streamline processes. And the one thing that has always been… One thing that I’ve dreaded doing and that is just documentation. Notes done for session, treatment plants, and all of those sort of things, I was into not spending a lot of time just typing all that stuff out. So, I thought there’s got to be another way to do this. What if I could use like a Google form which is again one of the apps in G-Suite? Just create something where I could go to and check all boxes and just simple phrases and then have that spit out on the other side, a narrative of my session note. So, you just go through and you click all stuff. And then, boom. It spits out a Google Doc which is in a narrative format. And then, I can just take that and cut, paste it into my EHR, my Electronic Health Records thing. Now, I know some Electronic Health Records have some kind of functionality with that. But anyway, so I started looking at that and behold I was able to put it together. And I use an add-on called Form Publisher that links Google Forms with Google Docs. It’s just some code and stuff that they’ve just put it on the back-end just by clicking a few buttons. [JOE] Is that created by Google? [GORDON] No, it’s done by a third-party app. It’s called Form Publisher but all of the Google apps, all of the G-Suite apps have different add-ons you can put with them to give them more functionality. They kind of do things that doesn’t come out of the core product. And so, I created this thing called the Session Note Helper. Again, that kind of have some information about that on the cheat sheet. What I do is I just have the templates that I’ve put together and I do sell that but it’s because I’ve put so much time into it and so people can purchase that template and use then use it with Google Forms and Google Docs just by going through a few steps of just getting it set up. It’s a real big-time saver. I can now write a narrative format session note in about 5 minutes or less. It’s just really… That’s the other thing about all of these Google apps. It’s that, with all of it, you can create templates and templates are a huge time saver when it comes to doing or being more productive. I mean if you got a letter, or email, or anything that you send to people, if you’re typing that and it’s something you do regularly, if you’re typing that every time, you really need to be making use of the different templates. There’s also a thing in Gmail that most people don’t know about. It’s called canned responses. You can create certain canned responses to respond to thing. That’s again something that I’ve put together in the course. It just goes through all of those things that shows people how to set all that up. [JOE] Very cool. So, what are other parts of the G-Suite that most people maybe underutilize or don’t utilize at all? [GORDON] Yeah. So, with Google calendar, there’s a way to set that up so that people can schedule themselves for appointments. That’s again stuff that you do in the back-end where you can set up… It was really designed for colleges and universities where maybe a professor may have office hours or whatever and somebody can go in and reserve a spot for their office hours. You can do the same obviously that’s a perfect application for what we do in having people go online and schedule their appointments. [JOE] You can use a certain section that people can just schedule for? [JOE] And I can see myself leaving Saturday open accidentally and then people accidentally. But you can just say Thursday from 1-5pm. [GORDON] Right. Right. Those are your office hours and then people can go in and reserve their office or those times. [JOE] How do you do that because that to me is really interesting that I didn’t realize you could do? Is that very hard to figure out? [GORDON] No, it’s not. Again, in the course, I go through the steps and show on screen how to do that but it’s a matter of going into the settings in Google calendar. And, there’s a section there. Quite frankly, I can’t remember and tell you how to do it step-by-step without looking at it. But you can go into the settings in Google Calendar and then there’s a function in there for setting appointments. It’s like setting up an event but you set it up as an appointment. [JOE] Okay. So, someone just search how to set up an event, appointment in Google Calendar. [GORDON] Yeah. They can find it. Sure can. [JOE] That’s great. What are some of the other things that people use for automations? [GORDON] Well, I think one of the things… To me, one of the biggest jams of the G-Suite apps is Google forms. You can set up, for example, an online in-take form that you embed on your website so that if somebody wants to make an appointment with you, you can have whatever information you need from them to set that up. And then, when they submit it, you can set it up on the backend to where it sends you an email. Or, you can have an email to your virtual assistant or whatever and they got that information right at hand. It also automatically saves it to a Google sheet, so you got that data in that Google Sheet that you can use later for like an email addresses that sort of thing. [JOE] When you said about virtual assistants, I’m thinking about Emily. She’s our intake coordinator here. To set this up, it’s a little more automated for her so she’s not sending these things people have to print out. You just raise that professionalism. And people that maybe don’t are at the point that they’re ready to invest to an Electronic Medical Record or they’re going to by their private pay, so they don’t really know if they need to. This seems like it could really be a good option for them. [GORDON] Oh yeah. You could really manage your whole practice with G-Suite as long as you were taking insurance because that’s one feature that Electronic Health Records have that you don’t have with G-Suite. And, that’s the ability I claim. In my own practice, things weren’t cancelling associates. I use both. And, I use some kind of, in many ways, kind of interchangeably into some degree. As far as creating, you know, for example, I got a form that I created in Google Form. So, if somebody needs like a cork letter just to verify treatment. I go in and fill out Google Form and it spits out a Google Doc with my letterhead and everything already on it. It just saves a lot of time in that way. [JOE] When I was working at a community college as a counsellor, I started a mentoring program where first year students that were struggling would be paired with some kind of upper students. We use Google Forms for them to do sort of like case notes. When they saw them, the link, some notes in there, that was great because you know, the dean always, I don’t know, it wants something for some report. How many meetings were there? What percentage was this? And so, we could always run those numbers through Google Sheets in a way that was way more user-friendly and made our department really look good too. So, if people want to get really advanced, are there things that you would say that are kind of super advanced things to consider in Google Suite? [GORDON] Yeah. I think the big thing is just learning how to link the different applications together using the add-ons. To me, that was a game changer for me. Learning how to use the different add-ons to do different things. Also, one thing that a lot of people are again… specifically with Gmail, there’s a lot of automation you could do with it as well. So, for example, any emails that I get from Joe Sanok automatically go into a Joe Sanok folder and that’s because I created the filter for that. [JOE] Do you totally skip your inbox and go into the folder? [GORDON] No, it doesn’t skip my inbox. I could set it up that way and I did but I realized that if I didn’t go to my inbox, I would miss it. But, if you’re disciplined enough, you could have it totally skip your inbox and just go directly into a folder. [JOE] I know there’s people that signed-up for our one-year practice plan which is where you get a weekly email all about starting your practice. It’s $17. Some people signed up for that before they’re ready to launch a practice and they’ll just kind of put it in a folder. That would be a perfect thing to filter it. If you know you’re not ready but you don’t want to lose that email, just have it go in the one-year practice folder. That would be so much easier than trying to remember where everything is. [GORDON] Right. Right. And, there’s so much automation that you can do with Gmail. For example, if you’re wanting to… Like me, I’ve gotten into some bad habits not cleaning out my inbox. You can actually go in and do a search term of just putting in the prefix in an inbox colon before and then the date “prefix: before date”. What it will do is pull up all the emails before a certain date and then you can go through and filter those out even more. In that way, you can empty your inbox pretty weekly and sort through stuff pretty quickly. [JOE] And, you can just archive all. You don’t lose it. When I wanted to kind of have bankruptcy in email. I ended up declaring bankruptcy because I was so far behind a few years ago. And then started with inbox 0. That was a lot easier now. We get 100 or 200 emails a day. So, Emily goes through all of those and then just stars the ones that are for me. They’re having some of those advanced things like canned responses and having some automations for things to be filed or color-coded. That would be easier to kind of know what’s in front of me too. [JOE] What are some other things in Gmail because I feel that’s what… or in the Calendar because I feel like those are the two that people use the most? What are kind of the tips and tricks? [GORDON] Yeah. With the calendar, I think most people know this, but you might be surprised. You can set up several different calendars in Google calendar. So, I could have a calendar that’s just for stuff I do at home, my calendar for just stuff I do at work, or you know, other organizations and stuff. And then, you can overlay them. And you can also set up notifications in the calendar. The thing that’s nice about Google Calendar is that you can sync it with all your devices and that just makes it simple as far as you put something in your phone or iPhone, Android phone, and it just type it in and then boom, it syncs across everything. I take that’s one of the big things there. The other thing to do is being able to create templates. Google has kind of a different way of creating templates. You know before started using or updating myself, it’s going to be foreign to people for me to say this. But, before I started using computers, way back in the dark ages, you know, one of the kind of the standard was Microsoft. In Microsoft, you can create a template by just saving it as a template. Well then, in G-Suite, you do it a little differently. There’s 2 ways to create templates. You actually have a template folder within each application. When you go to create a new document, you can actually click on the little arrow next to creating the new document and it will ask you whether you want a blank document or from a template. Well, if you go into from a template, you can actually save other documents as a template to use later. If you create it from a template, that way you don’t ruin the copy that you have. It creates a new template. The other feature with that is just creating a copy of the document. And so, you can go into file. Make copy and start with the new document there. So, couple of different ways to create templates when you’re working with different things. [JOE] Yeah. I think seeing a lot of this and have you walk through it is really important. So, tell us a little bit about your course, some of the units. I know just me trying to visualize doing each of these things, you know, it’s hard to do that on a podcast. 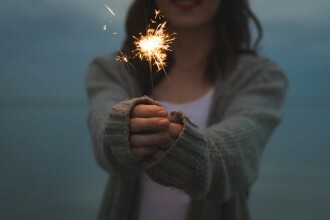 I know you’ve created this resource for therapists. [GORDON] Right. So, yeah. So, the course is 10 lessons, and, in those lessons, I started with an introduction. And then, I go through, basically, each of the applications that are most use. And, I actually show you on-screen how to do all these different steps. So, for example, with the Google Calendar and setting it up so that people can select meeting times or appointment times, I walk you through that in this course. And so, it is probably close to 6 hours of instruction through video and just me talking about different apps. It starts with an introduction. I’ll probably going to pull it up but anyway, there’s 10 units. I will go through each one of the applications from Google Docs to Google Sheets, Gmail, Google Calendar, and all of those. And, I will show you how to set those up and how you can use those for private practice. And, it’s really the course geared towards therapists. Obviously, the name of the course is G-Suite for Therapists. [JOE] And so, if people are going to sign up for that, we have a link. It’s just practiceofthepractice.com/gsuite. And, if you want to get the download that Gordon put together, you can see that over at practiceofthepractice.com/resources. So, this is $98 and it’s going to save you so much time. And, Gordon, I know you’ve put a lot of time into creating this. I’ve had some friends that have gone through it and really like kind of how approachable you are in teaching. So, if every counsellor in the world are listening right now with private practice owner, what would you want them to know? [GORDON] Oh, wow. There’s so much but I think the main thing that I guess one of the things that just seems to be coming up as a thing is just really making sure that you’re persistent and consistent with what you do. Being in private practice is really scary at first. But I think by just being persistent and being able to just commit to the long haul, you’re going to be successful in your practice. And also, in addition to that, I would say, don’t try to go it alone. I know that was a mistake I made early on and that was just not seeking out the help of mentors, and peers, and people that have been there before, and having them help you along the way. It’s going to save you so much time and you’re going to learn so much by doing it that way. [JOE] Yeah. Yeah. Well, I think it’s so important to be around other people that are at the same phase as you are or even a little bit ahead of you. To be in community, whether that’s a mastermind group or next level practice or some other cohort that you create. Being around these people, they’re doing things that you want to do, that’s just help you learn so much faster and then get the feedback. [JOE] Well, Gordon, thanks so much for being back at the Practice of the Practice podcast! [GORDON] Well, thanks for having me. I always enjoy being with my friend, Joe. [JOE] Sounds good and see you.